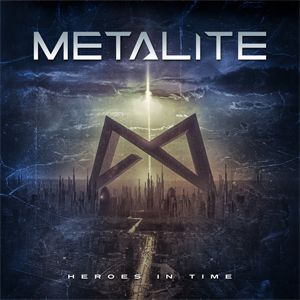 The Swedish melodic metal band METALITE just released a music video for "Afterlife", the first single from their debut album Heroes In Time. The music video was directed by 11Frames Productions [HAMMERFALL, THE UNGUIDED]. Heroes In Time will be released on October 27th in Europe and North America through Inner Wound Recordings. Heroes In Time is an impressive debut album filled with melodic and memorable songs, crowned with the strong and emotional vocals by vocalist Emma Bensing as well as a powerful production by Jacob Hansen [VOLBEAT, AMARANTHE, EVERGREY]. The album should be perfect for fans of bands like BEYOND THE BLACK, DYNAZTY and AMARANTHE! "The Great Force Within Us"